This smaller Bugatti bag is everything you need in a bag. 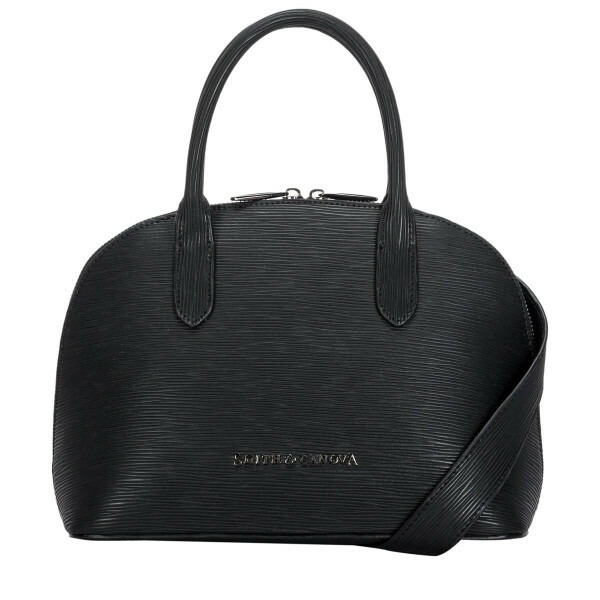 It boasts beautiful style and is spacious enough to carry your daily essentials. 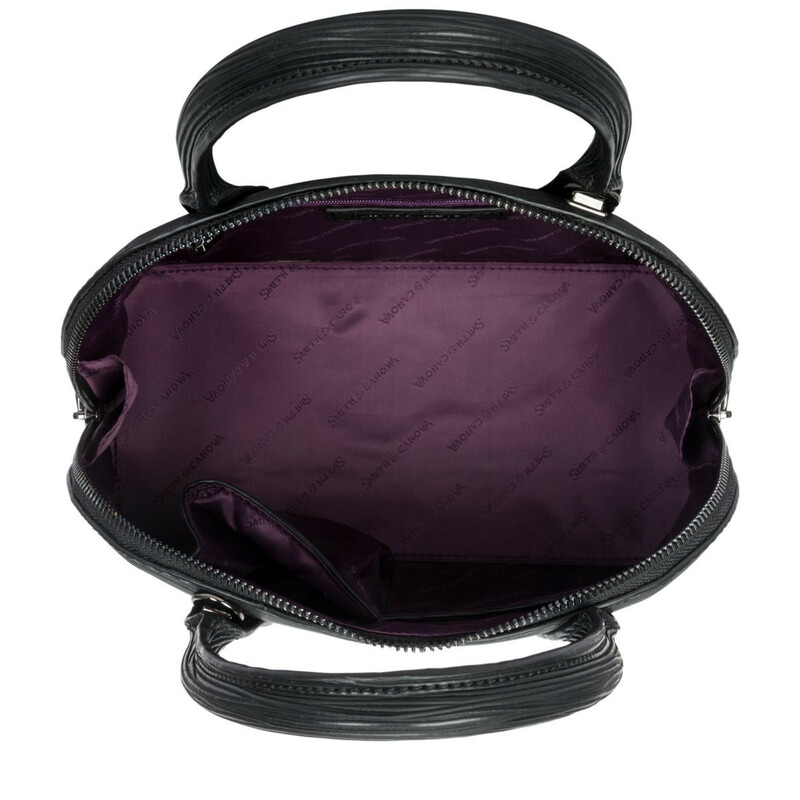 The inner slip and zip pockets allow for secure storage for smaller items, and the strong structured shape means your valuables are kept safe inside the zip round opening. 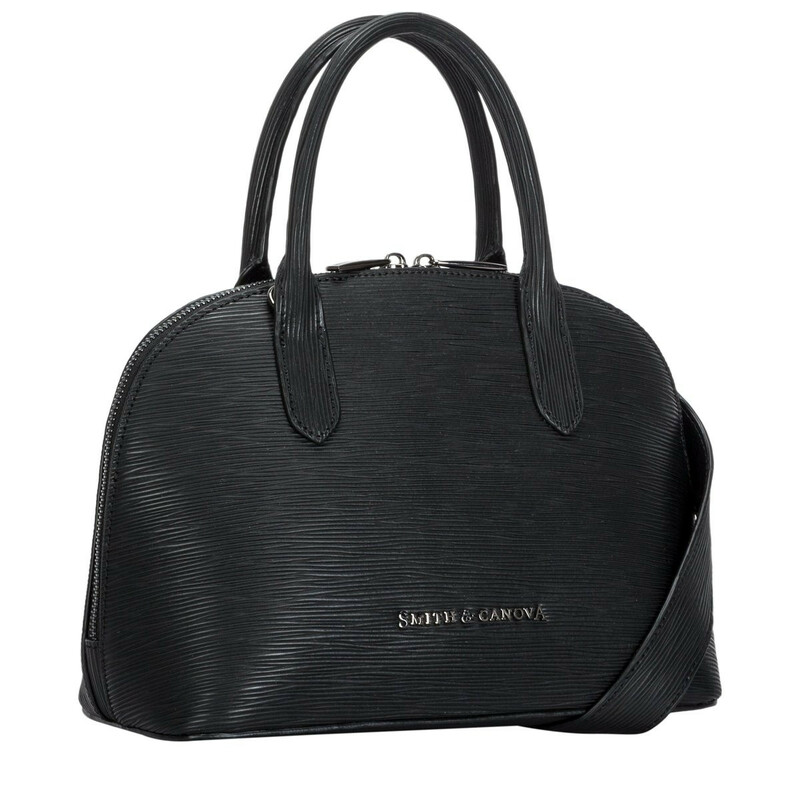 Features include gunmetal hardware and the line embossed leather completes the minimal, but effective design.